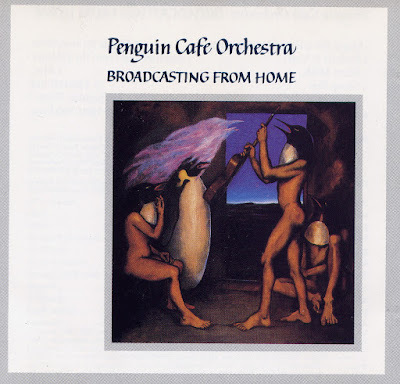 "The Penguin Cafe Orchestra is as eclectic as prog gets, way beyond the usual parameters of the genre, far removed from bubbly Moog runs, blistering Rickenbacker bass rumbles, laser-guided electric guitar solos and thrashing Hammond organ. Quite the opposite, PCO was formed in that glorious period of 1973, when music from all genres were actively incorporated into the progressive fold, a laboratory of incredible adventure (and stamina) , still ear-friendly in the 21st Century. Not really surprising as the classically trained young 70s musicians flocked to the Rock idiom en masse, wanting to be part of this youthful exuberant cultural movement that had taken over the artistic world. Simon Jeffes was a gifted composer, arranger and multi-instrumentalist who wished to put into music the dreams he slept through, very much in a neo-classical mode using an array of stringed instruments (violin, viola, cello) as well as the rare and bizarre such as Harmonium, Spinet, Ukulele, Cuatro, Soloban, Dulcitone, Omnichord etc'..."